Career change resume writing requires you to focus on your skills instead of your job duties. These tips will help you write a career change resume that shows how your experience and skills are relevant to your new career. A combination resume is often the best resume style for career change resume writing. A combination resume allows you to list your skills before you get into your past job titles and responsibilities, so it's a great format for highlighting your relevant skills as opposed to your job titles. Sometimes you'll read advice that says career changers should use a functional resume, which is a resume that completely omits all of your work experience.Using a functional resume, in my opinion, is almost always a bad idea. Even if your work experience is not particularly relevant to your new career, including it demonstrates that you have had a solid work history. Omitting your work history raises all kinds of red flags and concerns in the minds of most employers. If you find that the skills and experiences that are most relevant to your new career are buried at the bottom of your resume, you'll need to restructure your resume to bring relevant experience to top of resume. Note the new job you are seeking in your profile, and indicate skills and experiences that are relevant to the new career. List the skills that are most relevant to the new job that you are seeking. Be careful to avoid jargon from your previous industry. You may also include a section called "Achievements" and note your most important achievements that are relevant to the type of job you are currently seeking. Remember, you are not necessarily listing your favorite skills or the skills you used most often at your previous job; you are listing the skills that are most relevant to the new job you are seeking. Typically a skills summary will include five to eight points; however, it can often be helpful for career changers to create an expanded skills summary. This section will help the employer to see your skills first and your previous job titles second. To create an expanded summary of skills, divide your skills into categories, and use those categories as headings. So, if you were a customer service representative seeking a job as an administrative assistant, you may have a heading called "Administrative Skills" where you listed several admin skills, and another heading called "Customer Service Skills" where you noted customer service skills as they related to the new job and possibly a third heading called "Technical Skills" where you listed all of the software you were familiar with and any computer hardware or troubleshooting skills you had. Notice that this section is slightly different from the standard Work Experience section that you'll see in most resumes. The heading Related Experience allows you to include all of experience that is relevant to your new career in this section. You may include volunteer work or internships here if those experiences are more relevant to your paid work experience, just be clear that they were volunteer positions or internships. Don't try to make volunteer work or internships appear to be paid employment. It's fine to restructure information to show yourself in the best possible light, but it's never acceptable to lie on your resume. Following the Related Experience section, include a section called Additional Professional Experience	where you include other work experience that is less relevant to your new career. Including your less relevant work experience will allow you to avoid the appearance of gaps in your work history. While using a Related Experience section can be useful in career change resume writing, most of the time, it is preferable to keep your work experience in a straightforward order, but if there is a real need to bring other related experience to the top of your resume, this is one way to achieve that. If you have returned to school to make a career change and your education is one of your most marketable features, include the education section of your resume immediately after the summary of skills section. Career change resume writing requires a bit of extra planning in order to highlight your most relevant skills and experience. Keep your new career in mind at all times. 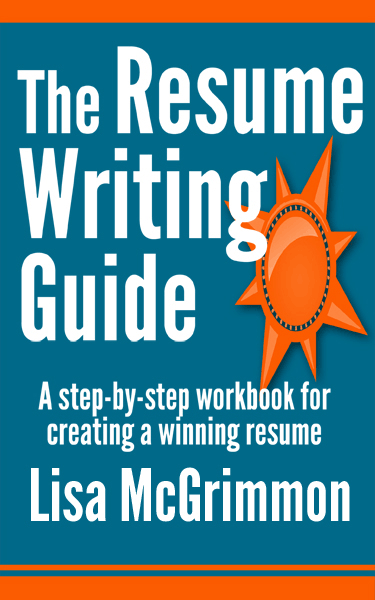 When it comes to career change resume writing, each decision you make about where to place an item or whether to include a specific comment should be made based on how well it highlights your skills related to the new job you are seeking.